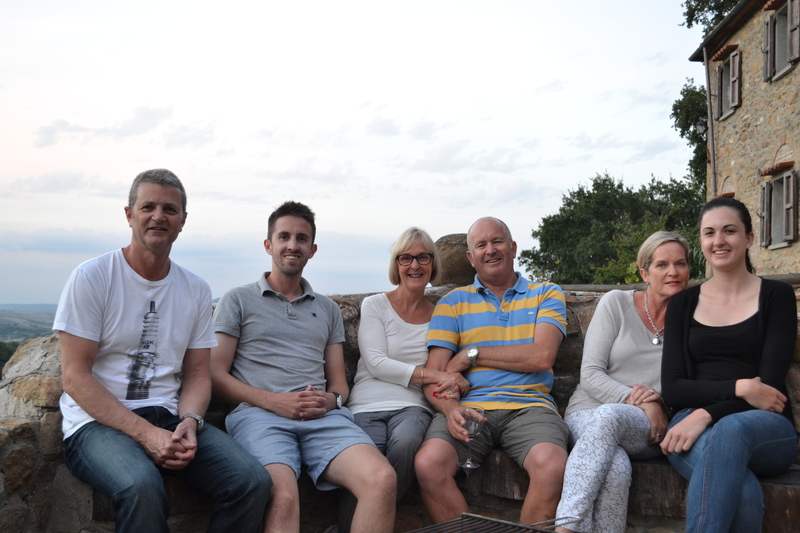 As mentioned in our blog about the Cinque Terre, we would be meeting up with my family (Dad, Stepmum, Aunt and Uncle) in Tuscany next. 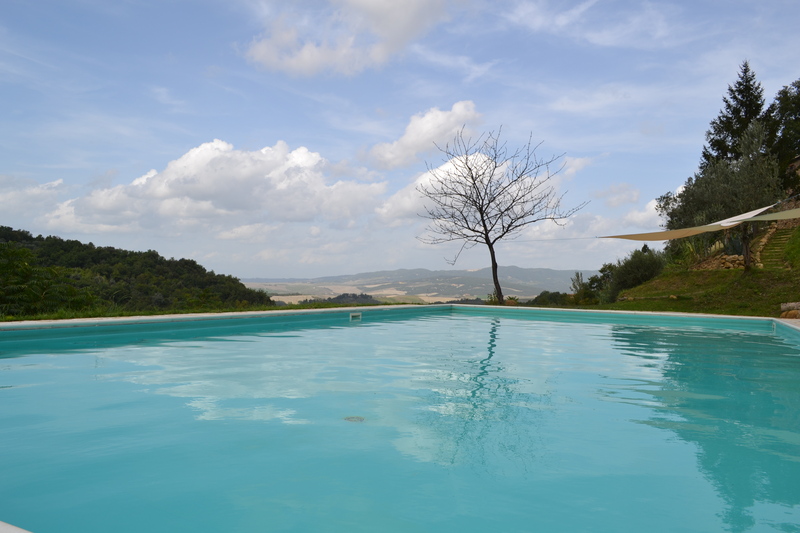 Each of the couples had been on a month or so holiday separately before meeting up for 12 days at a villa just outside of the town Volterra. Over these 12 days we managed to do a lot: a lot of relaxing, a lot of taking coffee, a lot of catching up, a lot of sightseeing and a lot of eating. 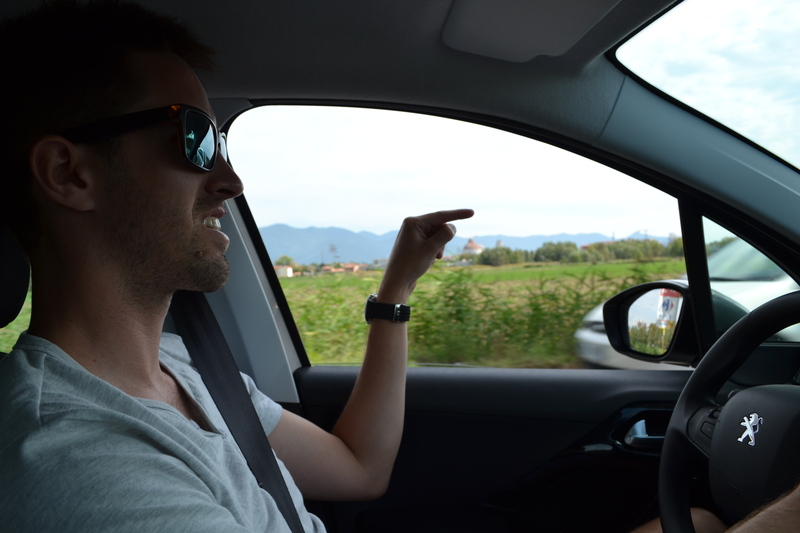 Alex and I were the first to arrive after a fairly unexciting drive down the coast of Italy. We passed about 100km of average, Euro-trash beach towns one after the other. We definitely did not see any reason to stop so made it through unscathed, unlike some of the tourists who we passed who had made the mistake of stopping. The scammers were literally lining the streets, waiting to steal your stuff. 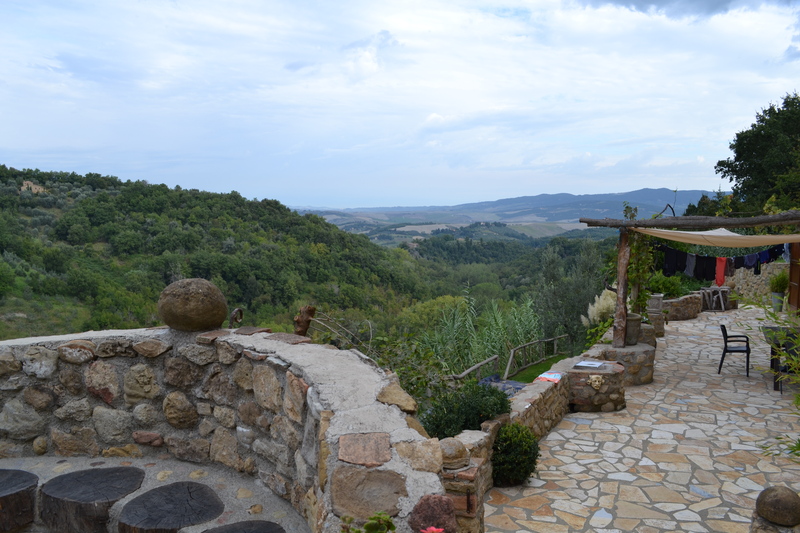 The villa which we were staying in was a gorgeous old farmhouse nestled on the side of a valley. 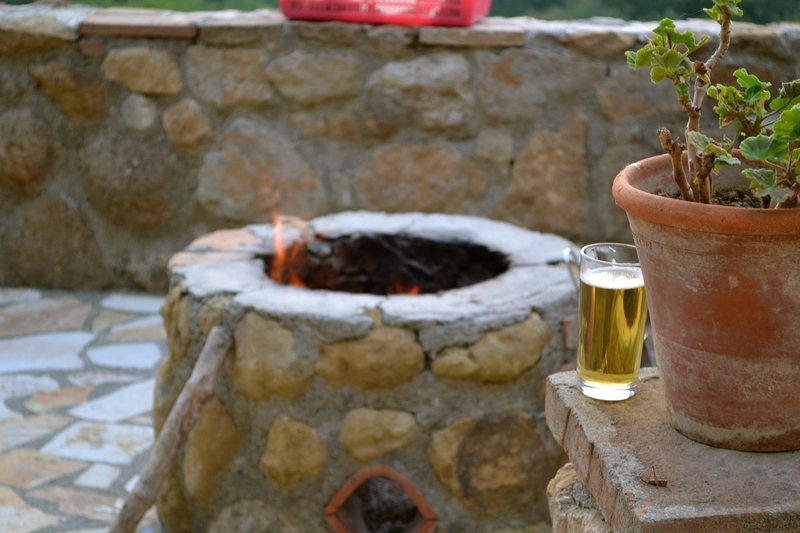 If you can imagine an old stone farmhouse in the Italian countryside, this would probably be it. When we got there, I asked the host how old it was and her response was “oh, just a couple of hundred years old” as if it was a fairly unimpressive age for a building to be. The host also told us that they had not cleaned the pool for the last couple of weeks because it had been too cold for swimming. When we asked how cold it had been, she said “oh, around 27 degrees.” Alex did not heed the warnings of cold temperatures and was off to the pool as soon as the bags were in the front door. Dad and Barbs were the last ones to arrive after being delayed at the La Spezia train station for over an hour in a line to buy tickets as in Italy only one line is ever open regardless of how many people are actually there and need to be served. That night my Aunt cooked the most delicious meal (she always makes the nicest food) which was even more welcome as we had not had much home cooking or vegetables since heading off on this trip (with the exception of Moux). One cool thing that we did while at the farmhouse was cook dinner over a proper wood fire. The guys had a great time getting the fire cranking and we all sat around that evening, enjoying the sunset and sharing stories of our travels so far. 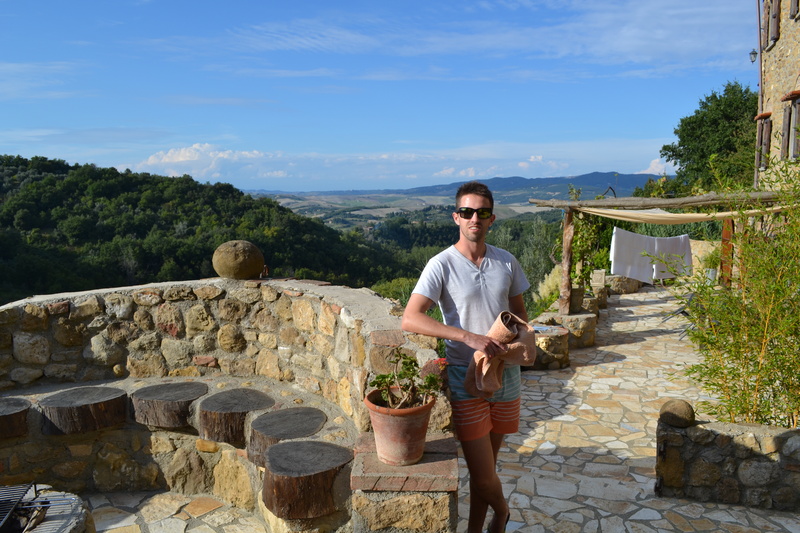 The town of Volterra was everything that I had envisioned in my mind for a small Tuscan village. It was less touristy than I was expecting, but a lot cleaner and better kept than some of the other small villages that we had visited along our trip. 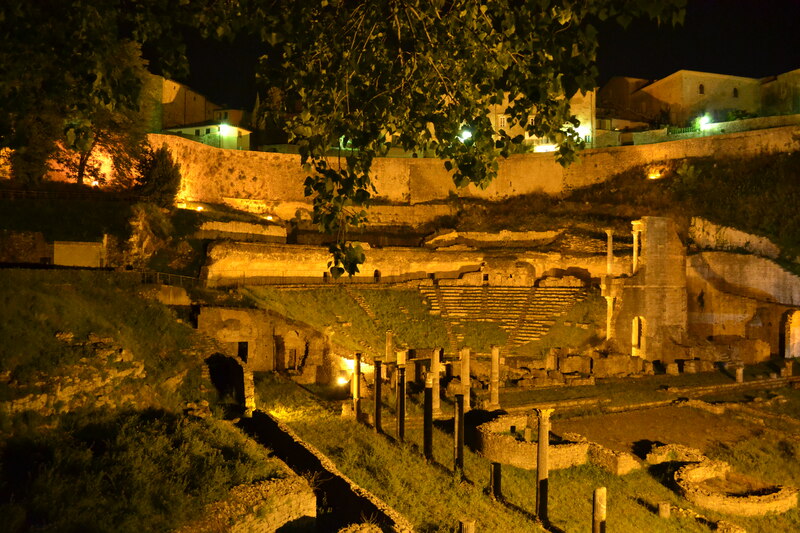 If Volterra sounds semi-familiar, it may be because you have read Twilight as this is where the Italian vampires are from. The movie was not filmed in this town so you will not recognise any of the photos below from the movie. The shops in this village were incredible. Every morning (and some afternoons) we all went to our favourite coffee shop for coffee, a delicious pastry, or even gelato. Alex had an unofficial mission to try everything in the cabinet while on holiday. Although he didn’t succeed, he made a very good crack at it. Luckily for us, the food and coffee was exemplary and extremely reasonable. One morning Alex ordered two americanos, a huge italian sausage roll, a tart and a giant shrewsberry all for 7 Euros (around $10-11). We also discovered the most amazing leather shop. 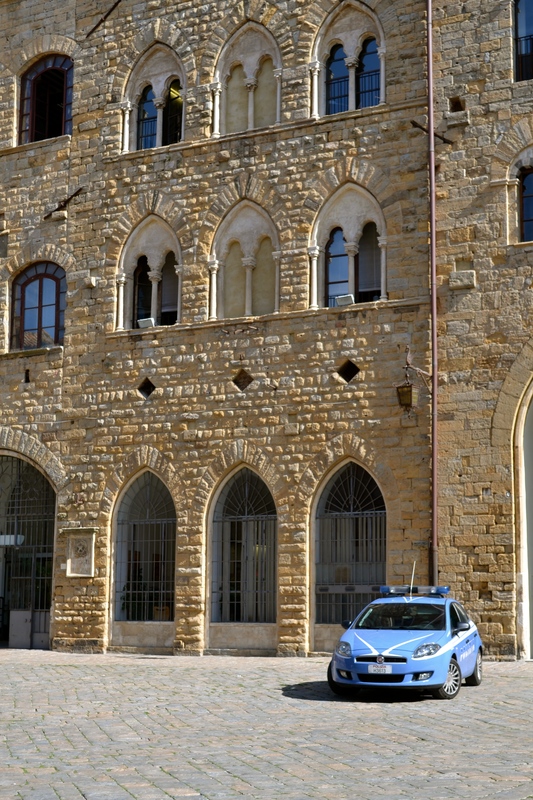 It was a family run business which only sold leather goods from the Tuscan region. 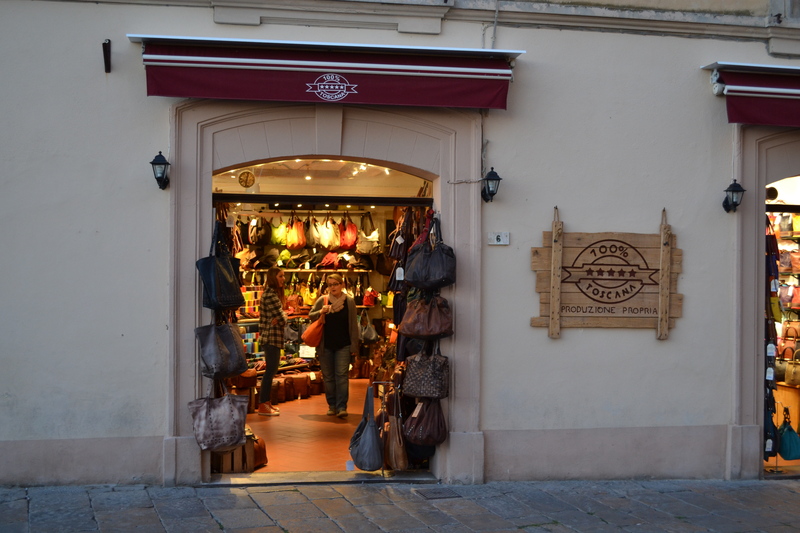 Anyone who has been to Florence or Tuscany would know that they are famous for their leather goods and these stores are everywhere, but the quality can be quite questionable. This shop was reasonably priced and very good quality. I bought a beautiful navy and brown leather clutch/small bag and a tan wallet. LOVE! Only thing I wish I did was buy more! For such a small town, there was a lot going on. Every Saturday there was a market. Again, like in Moux, this was not just a food market, but also had stalls selling the usual junk. The first Saturday the market was on Alex and I were on cooking duties and decided to make mushroom risotto as the variety of mushrooms available in Italy was like nothing we had ever seen in New Zealand. 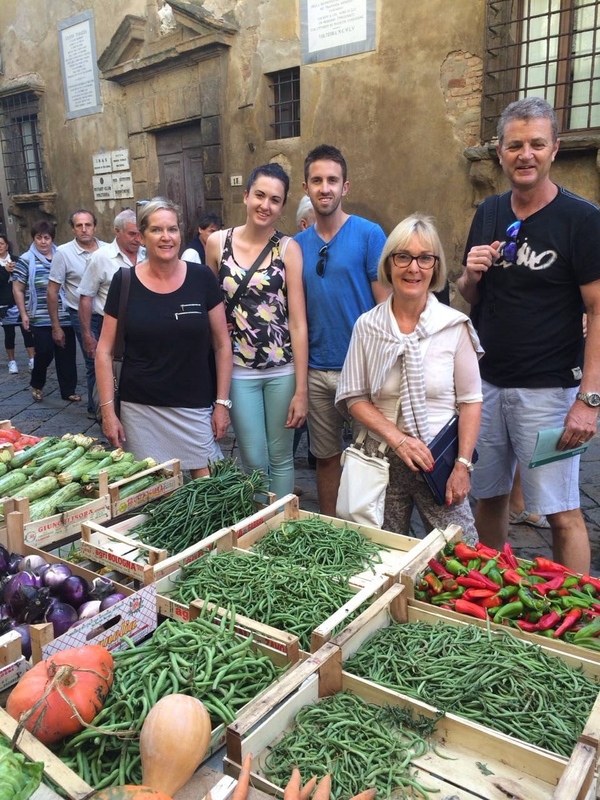 We were very proud of ourselves as we bought all of the vegetables for the risotto from the market (celery, garlic, onion and parsley) without speaking a word of English. 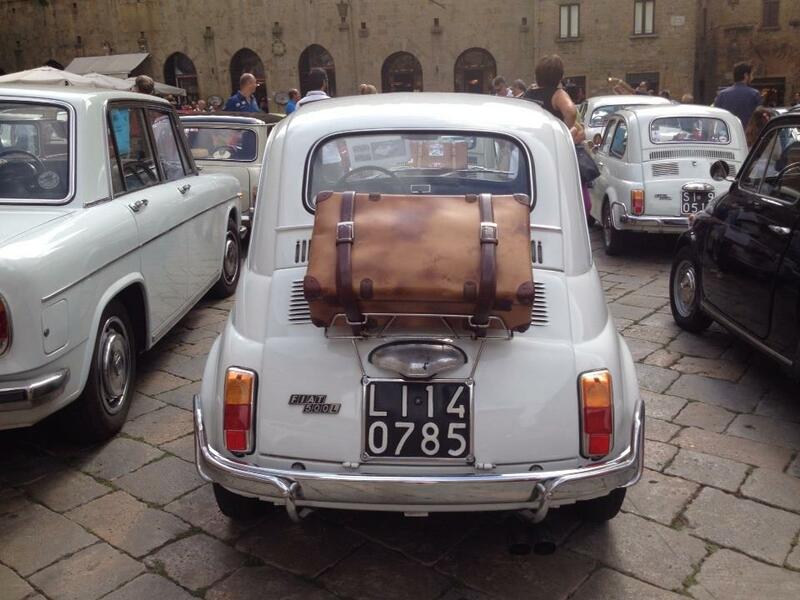 Luckily for the guys, on our handbag shopping day, there was a classic car rally in Volterra, so they all stood outside the handbag shop and watched the cars go by. 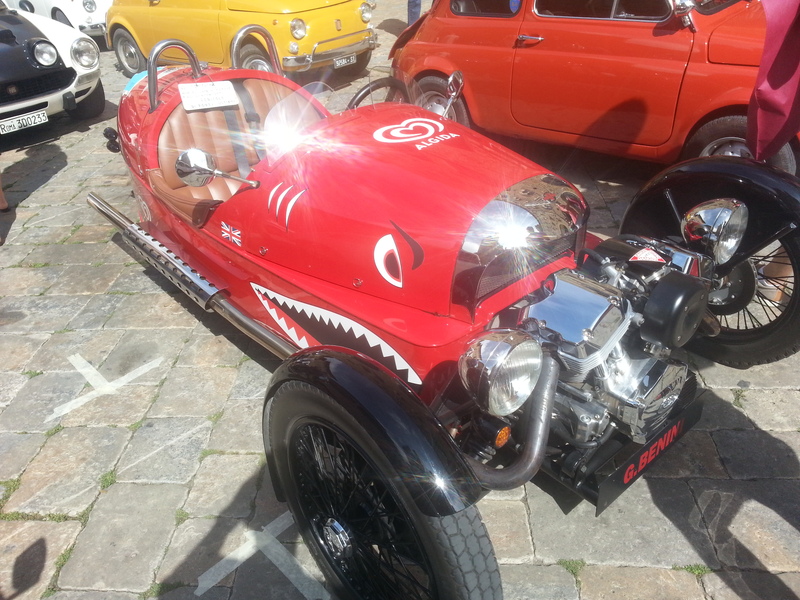 A lot of the cars were done up versions of old italian cars (Fiat 500’s mainly) but some were extremely random such as a huge Land Rover, Toyota rally car and a 3 wheeled Morgan (all of this info is curtesy of Alex…could you tell??). 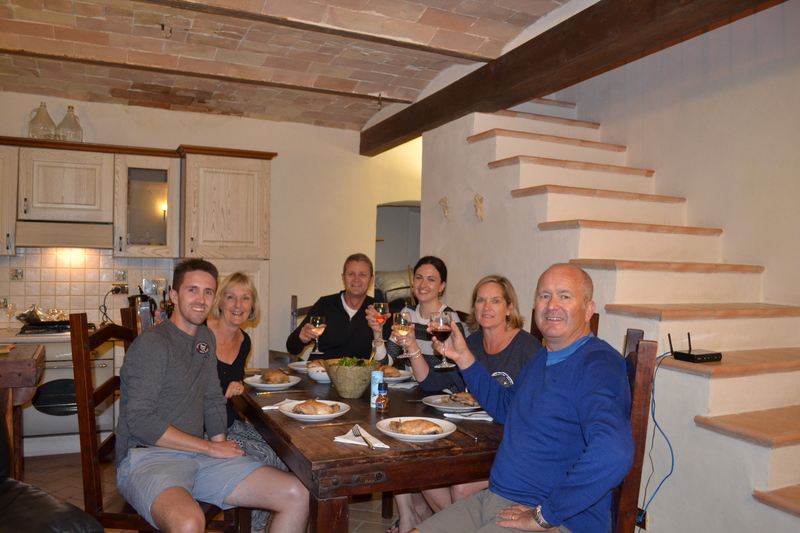 I think everyones comment at the end of the trip was that there could not have been a more perfect place to base our travels around the Tuscan region. 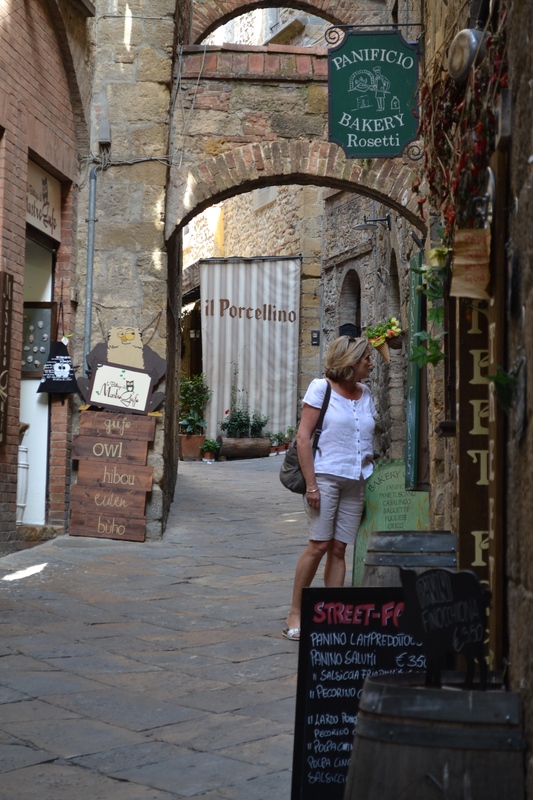 Volterra was a town that definitely deserved to be enjoyed rather than just visited once. Alex and I will be forever grateful to get to share in this amazing holiday with our family. We will have these fond memories for a life time. Don’t worry, this was not everything that we got up to while we were here. 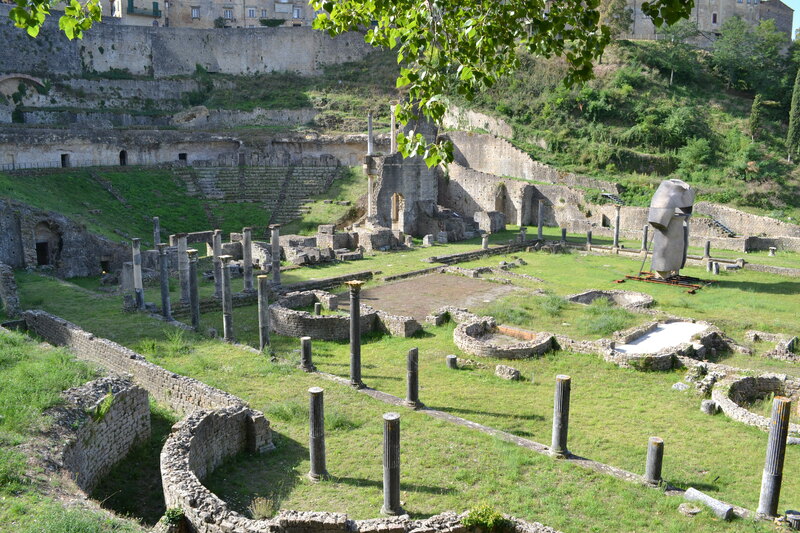 We will write a few more blogs to cover off all of the trips that we did outside of Volterra, so stay tuned.